Mobile Apps for Churches, Schools and Business. A powerful and affordable mobile solution. Smartphones are now the leading devices for accessing the internet with tremendous growth in the use of mobile apps. Mobile App use has already surpassed web use as well as time spent making calls. Today, 80% of smartphone time is with mobile apps and the average user has 6.5 apps running at any one time. A website is not enough anymore. 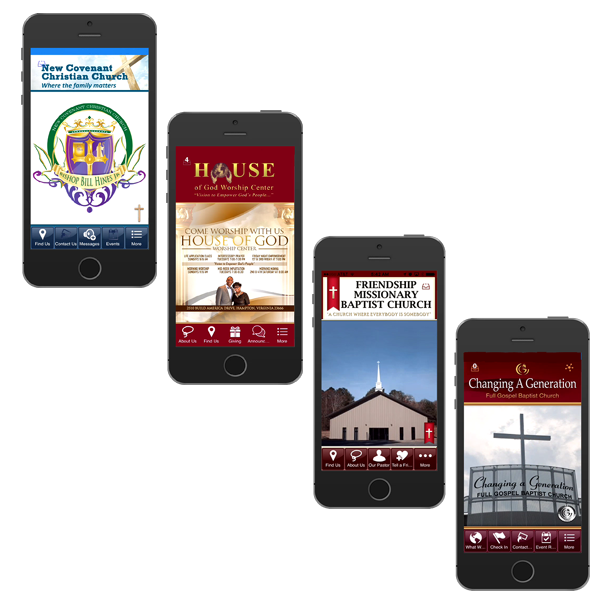 A custom CMobile App is the solution for small and growing churches, businesses and schools. Our revolutionary platform works on most mobile devices and allows you to have a mobile app at a fraction of the cost of traditional print or web marketing. Our Mobile App Development Team does all the heavy lifting to deliver you a fully functioning mobile app. Once your app is running, it’s easy to manage, and we’ll always be available to answer your questions.